Amidst the wild world of multivitamins and nutrition supplements, it can seem as if there’s really no need to ever eat another broccoli or carrot again. Why bother eating vegetables, if all you need to hit your vitamin A level is popping a couple of pills, right? Wrong. A new study confirms something many have already suspected: supplements cannot compete with food when it comes to nutrients as the supplement-derived nutrients don’t seem to have that significant health effect as you might think. It turns out that natural nutrient source really cannot be beaten. The study which collected data from more than 27 000 American adults looked into how dietary supplements are connected to death and various illnesses and found that the only nutrient source that could be linked to lower risk of all-cause mortality was the one derived from food, not supplements. 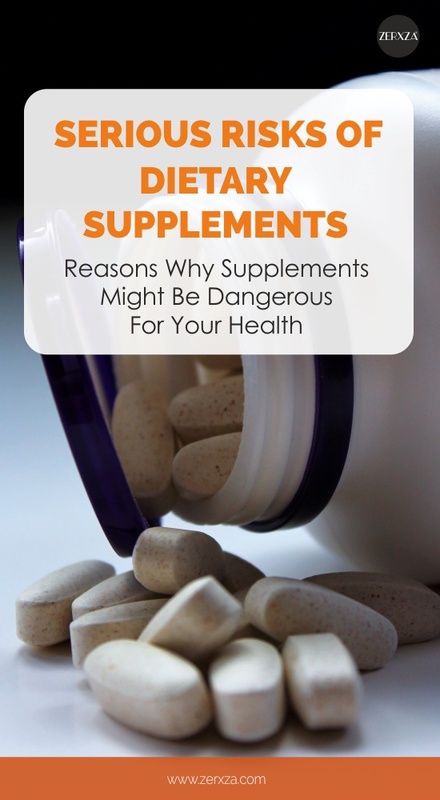 Essentially, the researchers found that the nutrients you get from your food are directly associated with a lower risk of death, but supplement intake has no importance in that, rendering supplements somewhat pointless. The study went even further and analyzed high calcium intake from supplements as well, concluding that excessive calcium intake from supplements can increase cancer risk while consuming calcium from the food had no associated risks. “There are beneficial associations with nutrients from foods that aren’t seen with supplements,” said Fang Fang Zhang, associate professor at the Friedman School of Nutrition Science and Policy at Tufts University and one of the authors of the study. What the study essentially concluded was that dietary supplements can’t compete with natural nutrients. Does that mean that supplements are completely useless and should be avoided? Yes and no. There’s a lot of controversial information out there regarding supplements and as with any product, there are those opposed and against them. One of the main issues related to dietary supplements is their seemingly safe nature which makes people pop the pills as if they’re candy. Dietary supplements seem harmless and therefore, people tend to consume far more than they’re supposed to. After all, it doesn’t seem like much if you take 3 pills instead of 1 or 2. Self-prescribing any medicine, even multivitamins, can be dangerous though. Over the years, supplements have sent plenty of people to the ER: according to the New England Journal of Medicine, over 2000 hospitalizations are thanks to dietary supplements each year. Vitamins and supplements have even been listed as one of the top 25 reasons why people need to contact their local poison control center. Supplements might look like candy but they sure aren’t. There’s one other major issue related to supplements and that’s safety testing. While FDA oversees the dietary supplement market, a new supplement doesn’t need to undergo safety testing or get approval from the FDA before it’s put on the shelves. There aren’t even any rules as to how big one pill can be and the supplement packaging doesn’t necessarily need to include the list of adverse effects. Therefore, you might never know what you’re actually consuming and whether it’s even safe. It’s more than possible that you might put your health in the hands of a supplement that hasn’t undergone any safety testing. Consuming supplements and vitamins has become somewhat of a trend, not so much a matter of actually needing a supplement. In many cases, making a few dietary changes can fix the nutrient deficiency without ever needing a pill. Doctors recommend taking the food-based route since nutrients are the most effective when they’re derived from actual food. And what’s more, food contains tens of other essential minerals, antioxidants and other nutrients that no vitamin pill could replicate in full power. Supplements are an option only if there’s no other way to hit the vitamin level, a.k.a when you have a real deficiency and it can’t be solved by changing your diet. However, since the supplement manufacturing isn’t monitored as pharmaceuticals are, you need to be extra careful when choosing your supplements. A good rule of thumb is to always consult your doctor or pharmacist before buying certain supplements and ask for their advice, especially since you might need to consider other possible factors like any other drugs you’re already taking or any medical conditions that might cause harmful effects in combination with the supplement. It might seem silly to contact your doctor to ask whether it’s wise to consume vitamin C supplement, but if you don’t, you might potentially bring yourself serious harm. Dietary supplements seem like a good replacement for vegetables, but they aren’t. In fact, they might endanger you if you avoid food-based nutrients and try to replace them with supplements. As their name suggests, they’re meant to supplement your diet, not replace it. Opt for dietary changes first and if you want to start including supplements in your daily life, consult your doctor first – and don’t think it’s silly to ask about supplements since it’s, in fact, the smartest choice you can do when it comes to dietary supplements.